Footprint Worldwide is a branded entertainment company, specializing in creating and producing content for distribution in China through our vast distribution network. Based in Los Angeles and Beijing, Footprint marries global brands to music, sports, games, TV and other entertainment to create new content that is localized for the marketplace. We help brands reach their desired demographic targets in new and innovative ways. As opposed to straight advertising or product placement, the concept of brand integration is still in its infancy in China. Footprint is leading the way to a more effective and greater opportunity for brand development in the world's newest and most exciting emerging market. Focusing on new media and alternative distribution, Footprint's robust distribution network encompasses the most desired target demographics in China and offers maximum penetration to over 600 million individual users. Our distribution channels include online portals, social networks, mobile networks, online music stores, television, radio, and a closed-circuit high quality streaming college network that reaches 25 million 18-22 year old college students across 2,000 campuses nationwide. Our management team has been on the ground in China for nearly 7 years in the music, culture and entertainment industries. The company holds a deep understanding of the marketplace, cultural practices, and carries with it an extensive and trusted relationship network throughout the country. The team has completed numerous projects throughout the years including Midem 2008's "Year of China", together with the Ministry of Culture; a short-form documentary on the history of skateboarding in China; and globally publishing and distributed the largest Chinese music catalog in the world. Additionally, they have vast experience developing new media initiatives with major brands, such as McDonald's, Kroger, and Macy's. The combined extensive experience in the Chinese market drives our creative strategies to capture the hearts and minds of a complex market and ever changing consumer landscape. 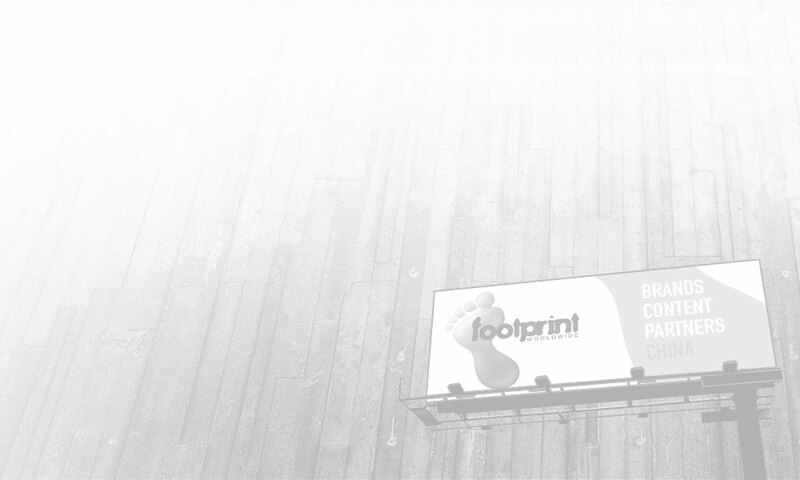 Footprint has an entire slate of projects scheduled for 2009 including new localized and innovative branded Linkin Park content for widespread distribution, an educational music channel designed specifically for Chinese college students, and a long-form documentary and branded programmed channel on Chinese action sports.